Although cricket helmets were first used in the 1930s, they weren't widely adopted until the late 1970s. Since then the use of cricket helmets has been universally adopted at all levels of the sport. In the UK, since 2000, it has been compulsory for all junior players under 18 to wear cricket helmets when batting, fielding within 15 yards of the bat and whilst standing up to the stumps as a wicket keeper. With cricket balls travelling in excess of 90 miles an hour at the top end of the game, the risk of head injury is simply too high and a properly fitted cricket helmet is now an essential piece of cricketing equipment. Since 2000, the England and Wales Cricket Board (ECB) has made it compulsory for cricketers under the age of 18 to wear a head protector while batting. In recreational cricket, adults still have the choice of whether to wear a cricket helmet. With protective headwear, the chief complaints are a reduction in peripheral vision and comfort concerns over weight and overheating. Cricket helmets are generally made up of a number of different features. 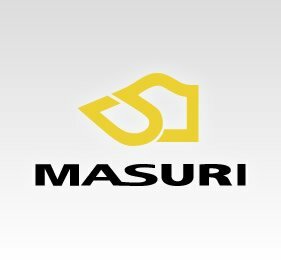 Each of these features is customisable to offer various levels of protection, comfort and durability depending on the materials used and in some cases the complexity of their construction. Here we will aim to quickly outline the various features and highlight how variations may affect the wearer. Like many other elements of protective sports equipment the key is offering maximum protection without impacting on the player's natural technique. The shell of a cricket helmet is designed to offer maximum impact protection and shock absorption to the majority of a batsman's head. The shell itself is in most cases composed of a number of different materials combined to ensure that the batsman receives the protection required. The outer layer acts as an initial shield spreading the force of the impact over a greater surface area to minimise the effects. Secondary inner materials are then designed to absorb the force spread by the outer shell. 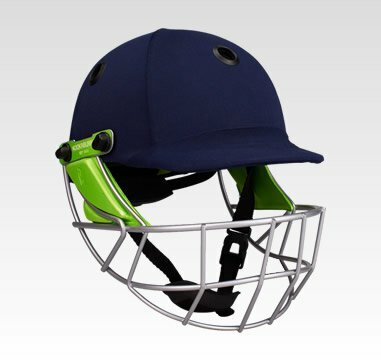 The use of a grill in association with a cricket helmet, offers the wearer a large degree of protection whilst aiming to minimise the impact on the wearer's visibility. 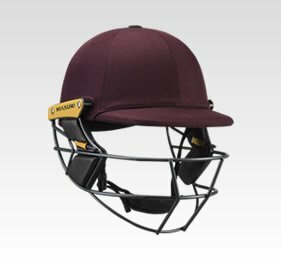 The use of a grill rather than a full face cricket helmet is seen as a necessary compromise, with protection being set aside for the sake of reduced weight, improved visibility and better ventilation. 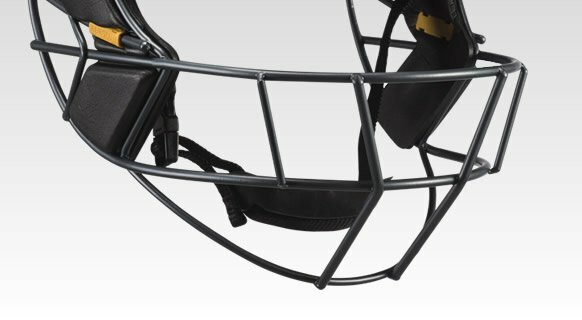 Over the years there has been some experimentation with different materials in cricket helmet grills including transparent polycarbonates and composite materials, but the market seems to have settled on the strength and stiffness offered by metal. The padding within cricket helmets performs two key roles. Firstly it serves as third layer of shock absorption, further minimising the impact of a cricket ball impact. Secondly the padding helps ensure a tight yet comfortable fit, preventing the helmet moving around too much mid-stroke or in response to an impact. A secure, well fitting cricket helmet is a crucial factor in its performance. The chin strap is a key feature in ensuring that your cricket helmet stays securely in place and more importantly that any impacts to the grill, don't simply push the grill into your face. The chin strap works in conjunction with the padding in the cricket helmet to ensure an ideal fit. A chin guard allows the chin strap to be comfortably secured against the chin, keeping the strap taught. 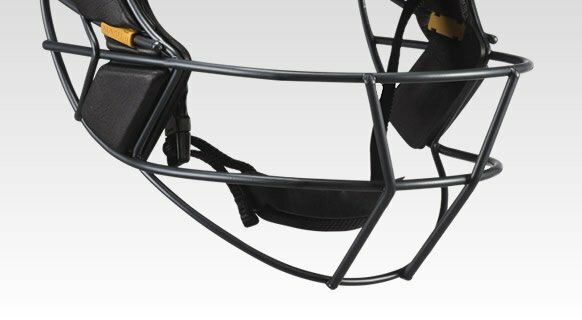 The chin guard also acts as a shock absorber in the event of an impact, particularly where the cricket helmet tries to pull off the head as well as protecting the chin from the grill in high speed collisions where the grill is designed to deform slightly in order to absorb the shock. 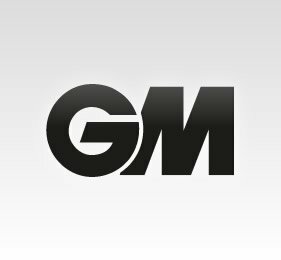 ABS (Acrylonitrile butadiene styrene) Thermoplastic is a type of plastic that can be easily moulded into shapes, but also features particularly good shock absorption characteristics. Being light and cheap to manufacture makes it almost an ideal material for cricket helmets shells. ABS Plastic, is however, not as strong as either fibreglass or carbon fibre and therefore may not be quite as durable, or as capable of offering long term protection from repeated impacts. Cricket helmet shells are often constructed from fibreglass due to its increased strength over ABS plastic and the durability that strength offers. Fibreglass however is much more difficult to work with but is notably heavier and therefore may compromise comfort slightly in favour of added protection. Carbon fibre, often combined with Kevlar, offers all the strength and protective benefits of fibreglass whilst being significantly lighter. Carbon fibre is therefore considered the best material for cricket helmet shells, but due to it being a more expensive material and still being relatively difficult to work, it is also a rather costly option making carbon fibre cricket helmets the choice of many test cricketers. 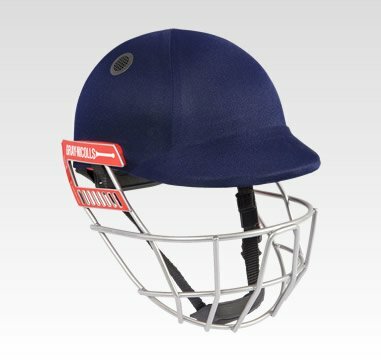 Being strong, relatively cheap and easy to work, Carbon steel is generally the most cost effective material in the production of cricket helmet protective grills. Carbon steel features higher levels of carbon in the steel mixture than standard steel and is can be heat treated to make it up to 4 times stronger. Titanium has the highest tensile-strength to weight ratio of any metal and can offer the strength of steel whilst being 45% lighter. 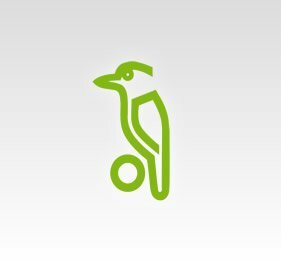 It is these characteristics which make it the ideal replacement for steel when trying to reduce the weight of a cricket helmet's protective grill. 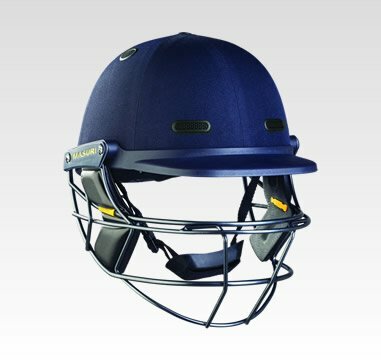 The weight reduction offered by a titanium grill can make a cricket helmet considerably more comfortable, putting less pressure on the neck, particularly during periods of extended wear. The term high density foam covers a large variety of materials with a range of different properties. Many HD foams are derived from PU, Polyethylene (sometimes referred to as Plastazote) and Polystyrene (EPS) based plastics mixed with blowing agents which create bubbles in the material. It is the size and density of these bubbles that create the unique properties of a particular foam. For example, foam with very small bubbles which are very close together may offer great shock absorption from high speed impacts but very limited flexibility; where as a foam with large bubbles would offer greater flexibility but would have limited shock absorption. In many circumstances foams are used in combination to make use of a variety of characteristics. The single biggest benefit of high density foams are their exceptionally low weight as they are largely made up of air. All of these aspects make HD foam the obvious choice as padding for cricket helmets. Selecting a cricket helmet with a good fit is almost important as the materials within. If the cricket helmet's padding doesn't fit your head snugly or the chin strap is too loose, the shock may not be effectively absorbed by the helmet. Many cricket helmets feature adjustability in various forms to help ensure the best fit. 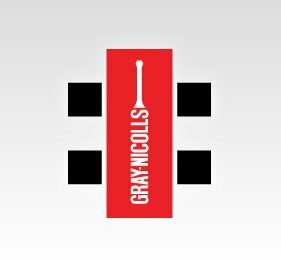 As with many products, the actual size and fitting of cricket helmets can vary between brands and it is highly unlikely that any guide will ever prove 100% successful. Unfortunately many of us don't always have the luxury of being able to visit our local cricket specialist, so we have compiled this table based on information from a number of different brands to provide you with an industry average guide to cricket helmet sizes. Like most protective products, as you go up through the ranges of cricket helmets and note the increase in price, you'll be asking So what am I getting for my money. In this case, as you spend more you will see some increase in protection to cope with the higher balls speeds. Shell materials such as ABS plastic being replaced with Fibreglass and then in turn Carbon Fibre. In most cases what you will also see is increased comfort levels. Comfort improvements will include weight reductions such as the introduction of titanium grills over carbon steel. More expensive cricket helmets tend to feature more and better ventilation as well as sweat wicking materials and removable inserts. If your cricket helmet does not have a cloth covering, wipe away any dirt or stains using a damp cloth with mild detergent. If your cricket helmet has a cloth cover, wipe the cloth using a small bristled brush and mild detergent.